Nine megawatts of power is used to preheat tubing for stretch reducing. 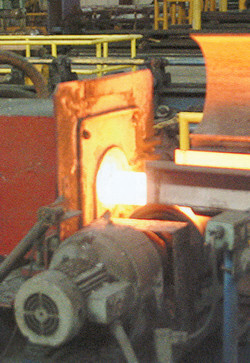 The advantages to heating with induction prior to stretch reducing include fast start and stop capabilities, better surface quality, speed and scheduling flexibility. Individually powered control zones enable the Ajax TOCCO Magnethermic induction heating system to remove the end to end temperature taper in seamless tube prior to stretch reduction. 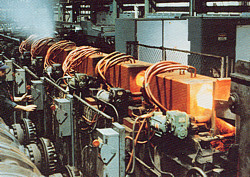 Other benefits of induction heating include reduced floor space, cooler working environment, dramatic scale reduction and improved product.